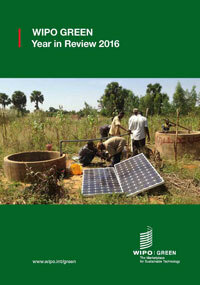 This Annual Report aims to highlight key trends and milestones since the project was launched in 2009 with a focus on the main achievements and developments in 2016. Read our flyer to get a quick overview of South-South cooperation and WIPO's work in the area. A year of solid growth for WIPO GREEN as it pushes forward in its quest to become the go-to platform for green technologies. Intellectual property is everywhere! This colorful little booklet introduces the main types of IP, with plenty of interesting facts and examples. It is designed to appeal in particular to adolescents and young people. This Program and Budget provides the planning for the biennium 2018/19 within the overall strategic context of the Medium Term Strategic Plan (MTSP) and guided by the inputs received from Member States. This Global Challenges Report describes the innovation process for vaccines. It explains how the restricted availability of vaccines is due to impediments at every stage of the process. Most of these obstacles are manageable, and intellectual property (IP) rights are associated with only some of them. The analysis aims to put into perspective debates around health innovation and the availability of health technologies in developing countries, especially with respect to the role of IP. In particular, it provides an overview of how IP has been used to meet global health challenges in the vaccines field, and considers whether lessons can be drawn to inform other important health technologies.